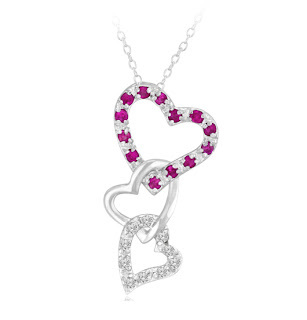 Get 93% off on this beautiful 1/10 Carat Diamond & Created Ruby Triple Heart Pendant on 1SaleADay! The pendant retails at $279.99 but you can get it for only $19.99. The sale ends 9/11/11 12 am EST so better hurry! Click on the link below for this deal!